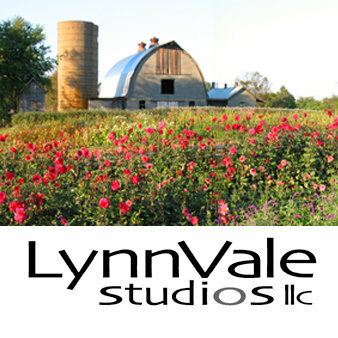 Earlier this month I spent several days at LynnVale Studios, the farm and art studio owned by Andrea and Lou Gagnon. 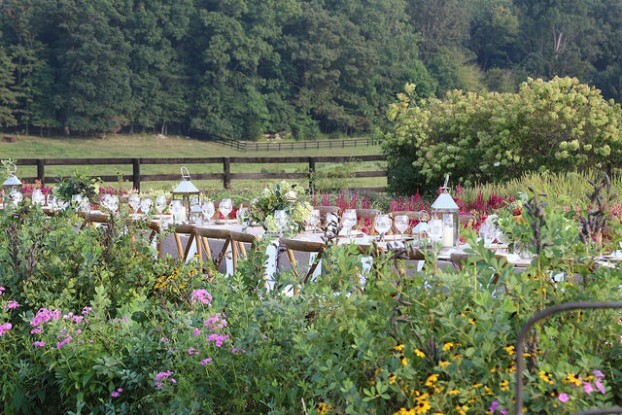 The couple graciously hosted the Washington, D.C., area Field to Vase Dinner in their Gainsville, Virginia, flower fields on September 3rd. 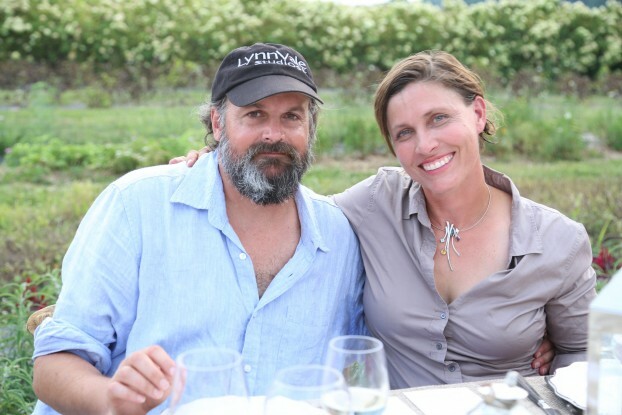 Not only was the event a spectacular floral and culinary celebration of local agriculture, it also gave me the chance to spend time observing Andrea’s incredible talents as a flower farmer and designer. I’ve been wanting to interview Andrea for the past few years and somehow the moment never presented itself for us to record a face-to-face conversation for the Slow Flowers Podcast until now. 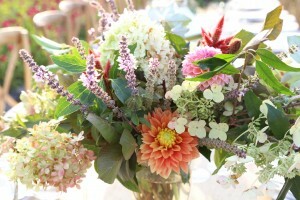 Andrea Gagnon combines her professional design education with her expertise in floriculture to grow premium flowers and design unique arrangements that range from formal to fantastic. She holds a Bachelor of Architecture degree from Virginia Tech. 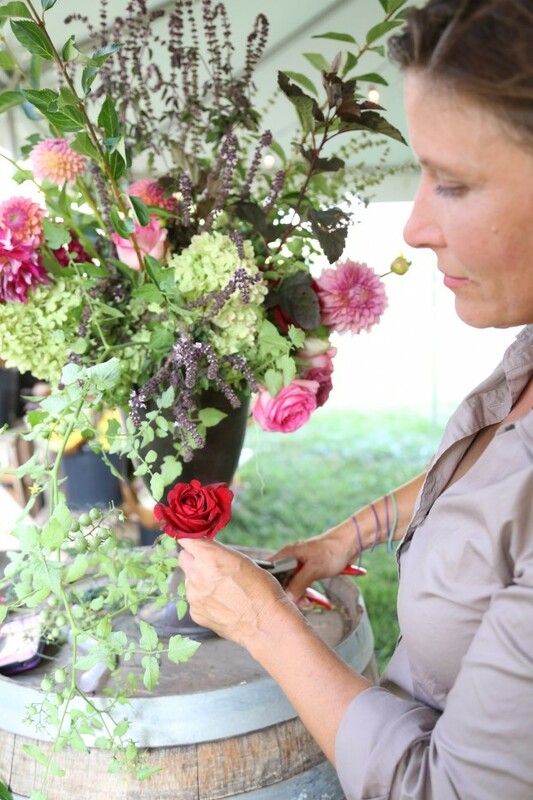 Andrea was the invited floral designer whose creations decorated the 2015 Congressional Wine Caucus Reception in Washington, D.C., held at the Library of Congress, where her exquisite floristry featured all American-grown flowers and foliage. 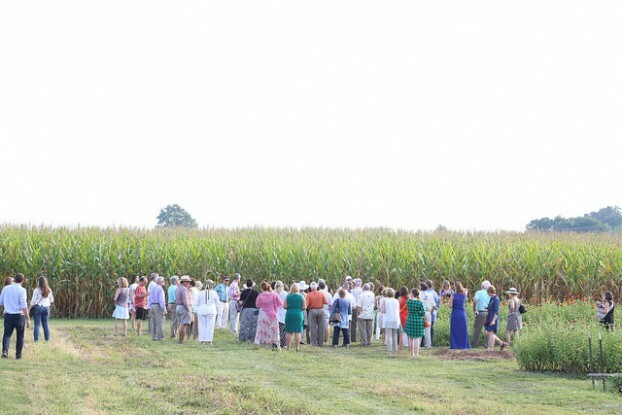 Andrea and Lou manage a thriving art and design studio, floral design studio and commercial cut flower garden surrounded by 100 acres of forest, pasture and crop land. Founded in 2002, LynnVale is dedicated to the cultivation of creativity and the human spirit through alternative agriculture and fine art. Each year, LynnVale grows more than 100 varieties of specialty cut flowers, foliages and herbs for sale at farmers markets and to fine florists across the D.C.- metro region. In addition, with Andrea as the studio’s creative director, LynnVale provides flowers and arrangements, specializing in eco-friendly events and green weddings. Our interview was recorded inside Andrea’s somewhat noisy delivery van, which happened to be filled with buckets of just-picked hydrangeas, dahlias, celosia and other amazing fresh, local and seasonal blooms. I was in on the secret: those flowers were destined for a very special VIP event in our nation’s capitol – I can’t tell you who ultimately enjoyed them but I am definitely in awe of what Andrea pulled off to fulfill the last-minute request from her floral design client. Thanks so much for joining me today. 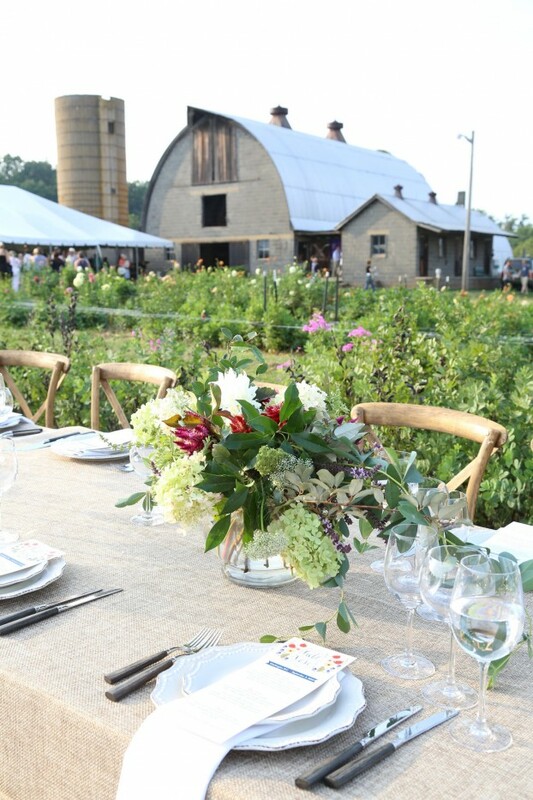 Please enjoy these photographs of the flowers at LynnVale, of Andrea’s gorgeous floral designs, and of the stunning Field to Vase Dinner held in the fields that she and Lou so lovingly farm. 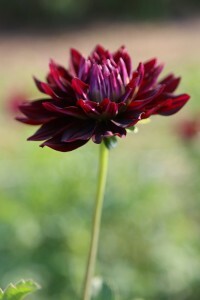 Read my Q&A profile of Andrea on the American Grown Flowers’ blog. 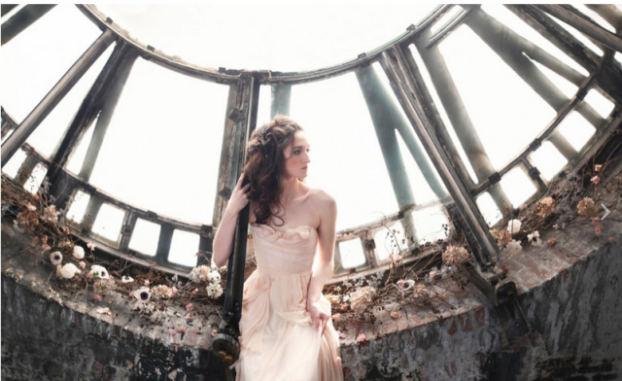 Learn more about Andrea in this wonderful piece on Flirty Fleurs. This entry was posted on Wednesday, September 23rd, 2015 at 5:07 am	and is filed under American Grown, Blog Posts, Creativity, Entertainment, floral design, Flower Farming, General, Podcast Episodes, SLOW FLOWERS Podcast, Slowflowers.com the Directory of American Flowers. You can follow any responses to this entry through the RSS 2.0 feed. You can leave a response, or trackback from your own site.